• Structure of property, including foundation and framing. • Exterior features such as siding, soffit, porches, decks, walkways, and driveways. • Electrical system including service panels, breakers and/or fuses. • Plumbing systems including pipes, drains, water heating equipment and sump pumps. • Kitchen appliances and central vacuum systems. • Fire and smoke detection and suppression systems. • Detached structures like a garage or shed. • Environmental hazard report like radon, asbestos or lead. • Termite and pest report. • Hot tubs and swimming pools. • Television antenna or satellite dishes. 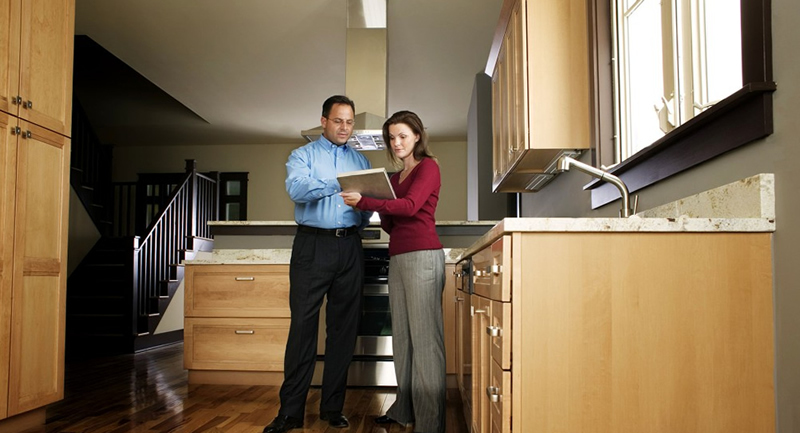 So what should be done with the information received from a home inspection? Inspection reports can be quite lengthy, covering dozens of items observed about the property. The information overload can often be mind-boggling to buyers. Try to not be overwhelmed. When walking through the property with the inspector, ask them to point out the items they think are most notable from a safety, structural and condition standpoint. When reading the report, critically note the items that are of a significant concern versus those that are meant to be informational in nature. Discuss the report with your real estate agent - they are an excellent source of knowledge and resources for answering questions raised by the inspection. Remember, first and foremost, the inspection and resulting report are meant to be a tool to inform you about the property. No property is in perfect condition. If the inspector identifies problems, it doesn't mean you should or shouldn't buy the house, only that you will know in advance what to expect. And as I always say - the inspection report is NOT a punch list of items to fixed by the seller. Use your inspection to realistically and reasonably address concerns about the property you are about to purchase and to be more fully informed as you make your home buying decision. One last tip - keep your inspection report handy once you move to your new home. The report is an excellent reference for planning routine maintenance and future improvements to your home.